Super Bowl LI will likely go down as one of the greatest games ever played, with the New England Patriots coming back from a 28-3 deficit to win it 34-28 in overtime, giving QB Tom Brady his fifth Super Bowl win. Meanwhile, the Los Angeles Chargers were watching from their couch. And since this is a Chargers blog, we’re going to play a little Chargers game. Here’s a crossword puzzle to satisfy your Chargers craving for the day. Only last names are used for player/coach answers. This should take a true Chargers fan less then five minutes to solve. If it takes you longer than 15 minutes, please bow your head in shame. 2. The team’s 2019 roommate and L.A.’s other (very bad) football team. 3. The 2016 Defensive Rookie of the Year. 4. 2016 interception leader and Pro Bowl selection. 10. Spelled out: the number of times the Chargers have won the Super Bowl. 11. 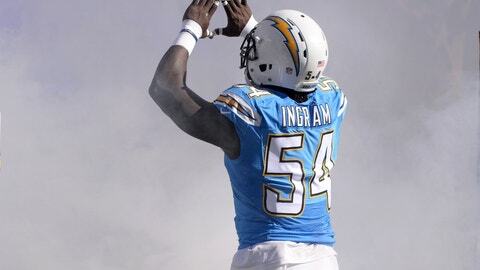 Legendary Chargers linebacker. He wore a very slow speed limit on his chest. 12. The team’s former name. 13. The team’s super cozy and cute home for the next two years. 15. Acronym for the league the team plays in. 16. Sport the Chargers play. Not to be confused with soccer. 17. Former Charger and first player to return a kickoff and a punt for his first two TDs. 5-foot-6 giant. 1. Chargers’ new home city. 2. A Rastafarian song, “By the _____ of Babylon.” Also the team’s QB. 5. Chargers’ running back. Not to be confused with a head of wood. 8. Game being played today. Chargers are not in it. 9. The name of the team’s former stadium. 12. Former Chargers coach. Revolutionized the passing game and should be in the HOF. 14. Chargers HOF running back and the NFL’s single-season TD holder.